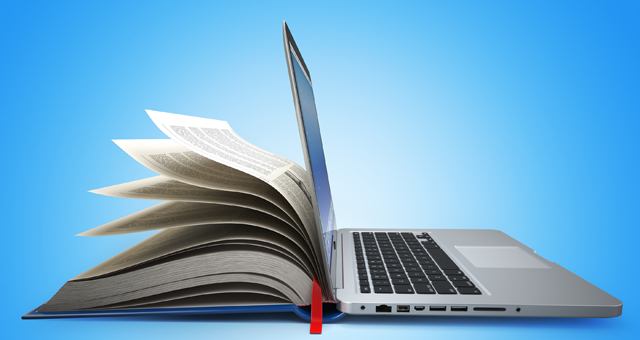 Although much has been written and discussed about MOOCs’ educational, access-opening, and revenue-generating potential, less is known about their legal implications. Administrators and faculty interested in MOOCs need to consider not only pedagogical and financial concerns but also legal concerns before getting involved, says Linda Enghagen, attorney and professor in the Isenberg School of Management at the University of Massachusetts at Amherst. 1) Who owns the content? Participation in a MOOC adds an extra layer of complexity to the content ownership discussion. “It is different from our day-in, day-out life, even for those with online courses,” Enghagen says. The difference involves the presence of a course delivery platform. Currently, MOOCs are delivered by three major platform companies: EdX, Udacity, and Coursera. Each requires faculty and institutions to enter into contracts with it, which may have implications for the faculty members developing the content. “It’s like being a third party to a publishing contract,” Enghagen says. For example, some contracts with delivery platforms explicitly say the content is owned by the faculty member or the institution. However, the contracts may stipulate that if the content is “enhanced” by the platform provider, the faculty member has no claim to the enhanced content. 2) How easy is it to lose control? “If I put my content out there, how do I deal with distribution?” Enghagen asks. “If someone violates copyright, is it on me to pursue them?” The answer to this question has obvious implications for faculty course developers who are sharing potentially lucrative content with their audiences. Much like the problems encountered with music file-sharing service Napster, the sheer size of a MOOC may mean that it is very difficult to control the spread of the content, even if that spread infringes on copyright. “With the ease of duplication, it is a problem of a whole different magnitude,” Enghagen says. Additionally, MOOC audiences have an even greater potential than that of a traditional online course to involve students from different countries that have different understandings of copyright, intellectual property, and ownership of ideas and materials. “They may not think of copyright the way we do,” she says. 3) What are the privacy implications? 4) Are MOOCs really free? Although some commentators have seen MOOCs’ supposedly free nature as a way to ease tuition pressures and open access to lower-income students, Enghagen cautions us to remember that everything has a cost that will eventually be passed on to someone. EdX notes that under one development model, it can cost $250,000 to launch a MOOC. Additionally, there are ethical implications to seeing MOOCs as solutions to cost and access problems. Free college courses may seem like a great way to open access to students short on income or pre-college preparation. But Enghagen asks if MOOCs are really the best way to serve this population. “It might not be the solution for people who can’t afford college,” she says. In addition, even the best MOOCs have low completion rates, and that should be figured into cost-benefit analyses. Although “a 5 percent completion rate [in a large MOOC] is still a lot of people,” Enghagen notes, institutions must consider how many students they would likely need to support to yield a particular number of completers. 5) What is the future of MOOCs? Currently, very few institutions offer college credit for MOOC completion, but that may be poised to change as institutions develop plans that use MOOCs as resources on which to base lower-cost independent study courses. Some commentators view MOOCs as an inexpensive, accessible replacement for traditional courses, but Enghagen suggests another model. “Don’t think of a MOOC as a substitute for a course; think of it as a substitute for a textbook,” she says. Jennifer Patterson Lorenzetti is a writer, speaker, and consultant who focuses on higher education issues and has worked in higher education for more than 20 years. Reprinted from “MOOCs and the Law: Five Key Questions” Recruitment & Retention 28,3 (2014): 4. © Magna Publications. All rights reserved.